For three centuries Britain, the United States, and other Western nations carried on a massive, brutal trade in black slaves captured in Africa. Eventually Britain led the way in ending that despicable enterprise. Through a narrative-driven pro/con formatsupported by relevant facts, quotes, and anecdotesthis book examines controversial issues from the point of view of someone who lived during the period. Topics include: Is Slavery Immoral? 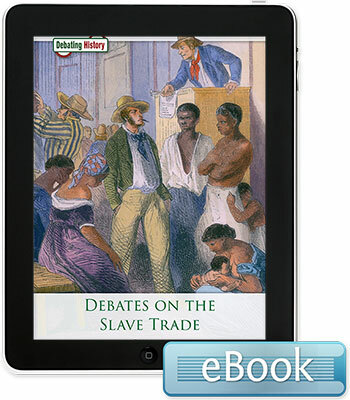 Is Slavery Essential to the Economies of the Southern States? Should Slavery Be Abolished? Should the Descendants of Slaves Receive Reparations?